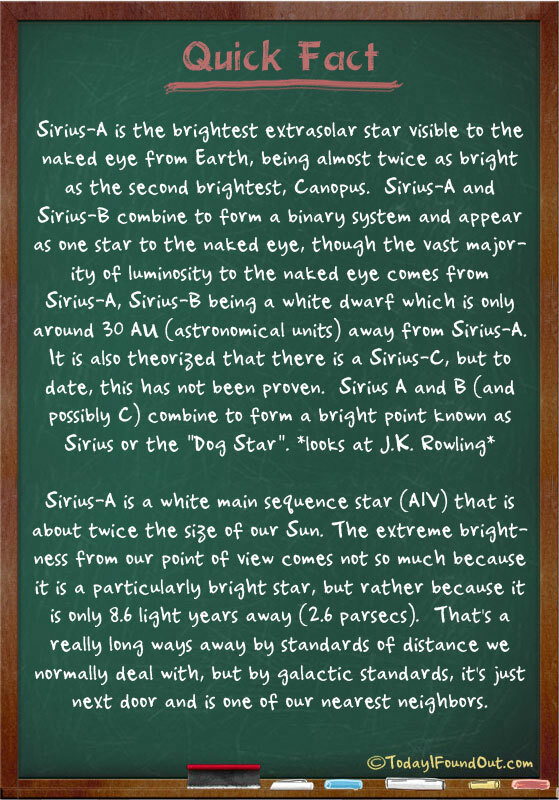 Sirius-A is a white main sequence star (A1V) that is about twice the size of our Sun. The extreme brightness from our point of view comes not so much because it is a particularly bright star, but rather because it is only 8.6 light years away (2.6 parsecs). That’s a really long ways away by standards of distance we normally deal with, but by galactic standards, it’s just next door and is one of our nearest neighbors.